Seems Microsoft's Windows 10 KB4482887 update causes issues with some graphics and mouse performance in some games. How bad is cheating in Battelfield V? Just want to wish everyone a Merry Christmas and or what ever holiday you celebrate this time of year. Stay safe and have fun playing those old and new FPS games. * seems EA is now holding off on the update. I complained via twitter of the slow Origin update yesterday evening to come into my office and greeted with a BF:V message saying they found an issue and are holding off on releasing. PS4 – Multiplayer will be offline for 1h starting at 1000 UTC / 2AM PDT. Xbox One – Multiplayer will be offline for 1h starting at 1100 UTC / 3AM PDT. Calling it their update 8 the Hell let Loose team let us know that a lot of work has gone into the game over the past several months. Hi all, I'm happy to be able to share with you a post written by New World Interactive on what to expect for future updates, and what the team are currently working on. Hi everyone my name is Jon Higgins, and I am the Marketing and Communications Director here at New World Interactive. 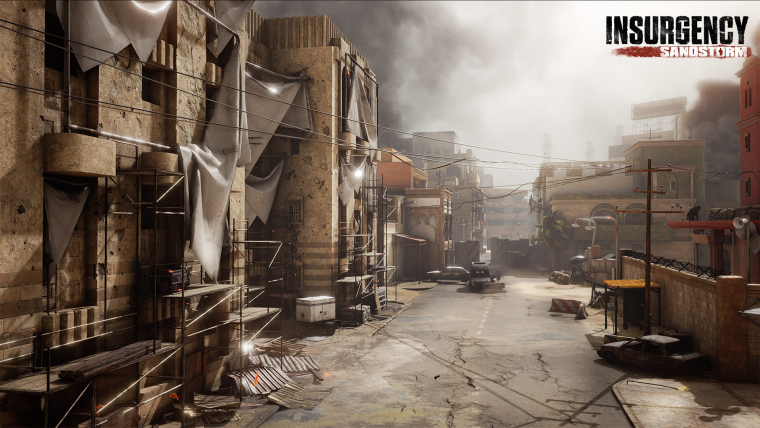 It’s been a little while since we last spoke about the development state of Insurgency: Sandstorm, and we’d like to take this opportunity to update our fans on what our team have been working on. As of today, September 12, it's been 5 years since the official launch of Arma 3. Take a quick trip down memory lane and relive all major release milestones with this #5YearsOfArma3 timeline video! Today we are announcing the delay of Insurgency: Sandstorm from its originally planned release date on September 18th 2018. The game will now be releasing for Windows PC on 12 December 2018, and the Pre-order Beta will continue until the release of the game. This was one of the hardest decisions our team has ever had to make and not one taken lightly. However, we feel it is in the best interest of the game and our community to spend more time working to ensure we deliver the best possible experience.